A critical vulnerability in the WordPress plugin Simple Social Buttons allows an attacker to completely takeover a website. The plugin allows users to add social media sharing buttons on the sidebar, inline, above and below the content of the post, on photos, pop-ups and fly-ins. The bug is the result of an improper design flow and the lack of a permission check. 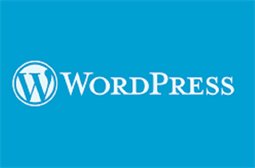 This results in privilege escalation and unauthorised actions in a WordPress installation that could allow non-admin users or even subscribers to modify the WordPress installation options from the wp-options table. according to an 11 February WebARX blog post. The issue was discovered and reported on 7 February and was patched the next day. Users should update to the latest version as soon as possible as plugin versions from 2.0.4 and before version 2.0.22 were affected.